Wow this is amazing. Gorgeous creations. Love the owls. Thanks for playing Saturday´s Workout. christa this is so lovely!!! This is adorable, Christa! 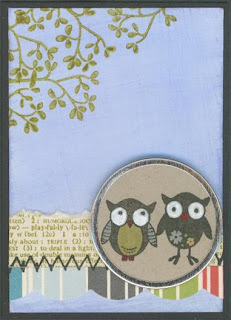 I love your little owls, and your background is wonderful!